IK Multimedia and Fender have announced AmpliTube Fender. Made by IK Multimedia in cooperation with music icon Fender Musical Instruments Corporation, AmpliTube Fender is the only official Fender guitar/bass amp and FX software suite. AmpliTube Fender features a collection of 45 pieces of gear, including some the most sought-after classic and modern Fender amps (Twin Reverb, '59 Bassman LTD, Super-Sonic, Metalhead and many others), cabinets, stompboxes and rack effects. From guitar to bass, and from country to blues, rock, punk and metal—whatever style you play—AmpliTube Fender gives you Fender's guitar and bass tones right on your desktop. According to IK Multimedia: AmpliTube Fender is the result of years of intense research and development by the tone gurus at Fender and is handcrafted by the software and audio engineers at IK Multimedia. Seldom has there been such close cooperation between two leaders in their respective fields, with the goal of producing the most advanced and realistic-sounding software recreation of the world's most renowned amplifiers and effects. "An electric guitar is nothing without amp tone, and Fender amplifiers are the standard by which great amp tones are measured. We're confident that the thrill of plugging into a great tube amp will never die, but we are proud to give digital recording enthusiasts the opportunity to discover and utilize many of the best Fender tones, old and new, with the convenience of PC recording. Unlike other guitar modeling software, IK Multimedia developed the realistic sounds of the AmpliTube Fender edition with the master tone-team at Fender Musical Instruments. From the legendary Tweed Deluxe to the modern high-gain Super-Sonic, this is the real-deal palette of tones you need to make great music in the digital domain." 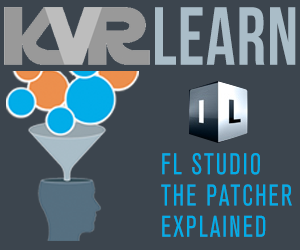 Stand-alone and plug-in software for all the most popular platforms, including VST/AU/RTAS plug-in formats. 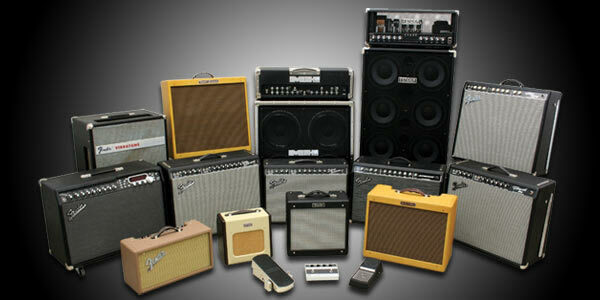 12 of the most influential guitar amps of all time. 12 original matching cabinets and more, with nine microphones. Six signature classic stomp effects and six rack effects. Tone flexibility; mix and match amps, cabinets, mics and more. Sound-certified and approved by Fender. Five separate modules: tuner, configurable stomp pedal board, amp head, cabinet plus mic, and rack effects. Two fully configurable rigs with up to 32 simultaneous effects. Includes SpeedTrainer and Riffworks T4 recording software. Can be expanded with additional "Powered by AmpliTube" models using AmpliTube X-GEAR. Can be controlled live with StompIO, StealthPedal and any traditional MIDI controller. Hundreds of presets included, with more that can be downloaded from the AmpliTube preset XChange area. 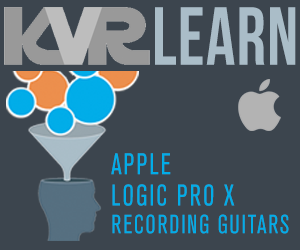 Powered by AmpliTube with exclusive DSM (dynamic saturation modeling) and new VRM (volumetric response modeling) technology. AmpliTube Fender: The official Fender guitar and bass, amp and FX software with 12 amps, 12 cabinets, six stompboxes, nine mics and six rack FX. Also includes Riffworks T4 for guitar recording and AmpliTube X-GEAR for full expandability with any "Powered by AmpliTube" software and live control. MSRP €169.99 / $229.99 (excluding taxes). 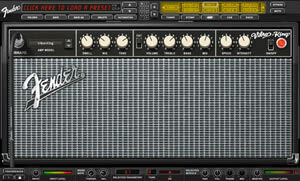 AmpliTube Fender Studio: The easiest way to plug your guitar into your computer and get the legendary tone of Fender. Including StealthPlug USB audio cable interface and AmpliTube Fender LE (four amps, five cabinets, two stompboxes, two mics, two rack FX), plus Riffworks T4 for guitar recording and AmpliTube X-GEAR for full expandability with any "Powered by AmpliTube" software. MSRP €109.99 / $139.99 (excluding taxes).